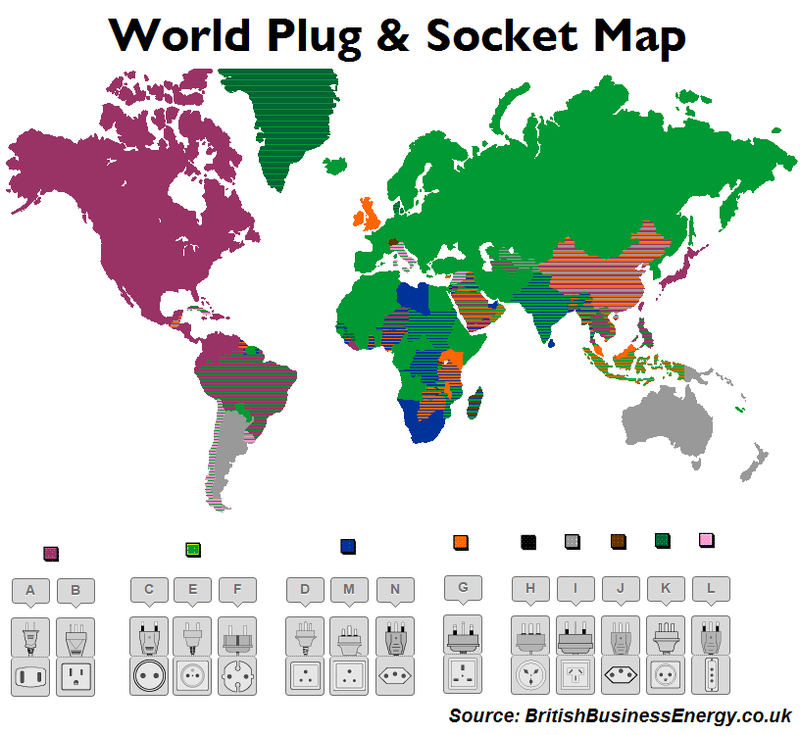 Why don’t we use the same plug socket globally? Different types of plug socket and the lack of standardisation. Plugs and sockets started to become available in the 1880s, replacing previous connections to light sockets with the now more familiar wall sockets. These also helped to address the issues of convenience and protection protecting folk from electric shock. Unfortunately back them the concept of standardisation was unheard of and now we have approx 20 different types being in use and in some areas even more with obsolete sockets still in use in some older buildings. The IEC began to work upon such standards in the early 1930’s but WWII brought this work to a halt. By the time they started to reconvene in the 1950’s it was too late as there was too much infrastructure in place to start again. Now this lack of a standard plug causes a small headache when travelling but with the easy availability of travel adaptors this is a minor inconvenience, however if you are designing a product that you wish to sell globally this can offer a different dilemma. Do you have a different version supplied for different areas of the world, to enable to sell to the UK, Europe and the US would require 3 different versions of the product. A handy solution to this could be a plug with a variety of pins supplied for various regions of the world. Adaptor Technology offers such a plugtop adaptor with interchangeable pins to cover the following regional sockets. US / Japan / Europe / UK / Australia / China. You can select which pins you wish to have along with the adaptor depending upon where you sell your end product. 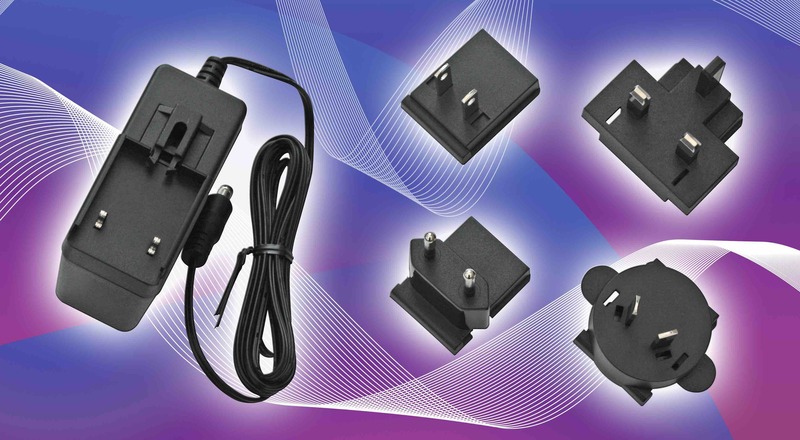 This is currently available in 3 power grades, 18W, 24W and 48W with various output voltages between 5 and 48v.